Kids happily playing outside, hours on end. A muddy, messy, dirty table set with scrumptious cakes and pies, ready to be devoured by mummy and daddy. Love this scenario? 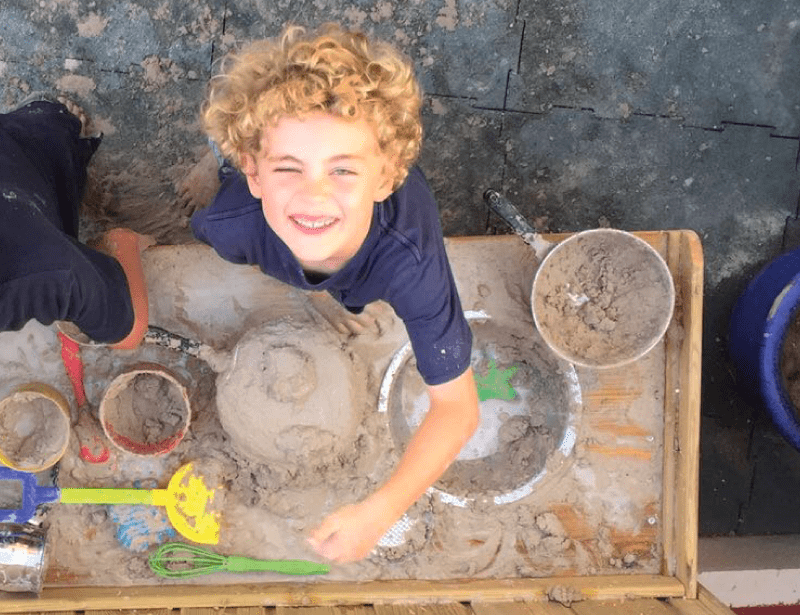 Looking to add a fun kids corner to your garden? 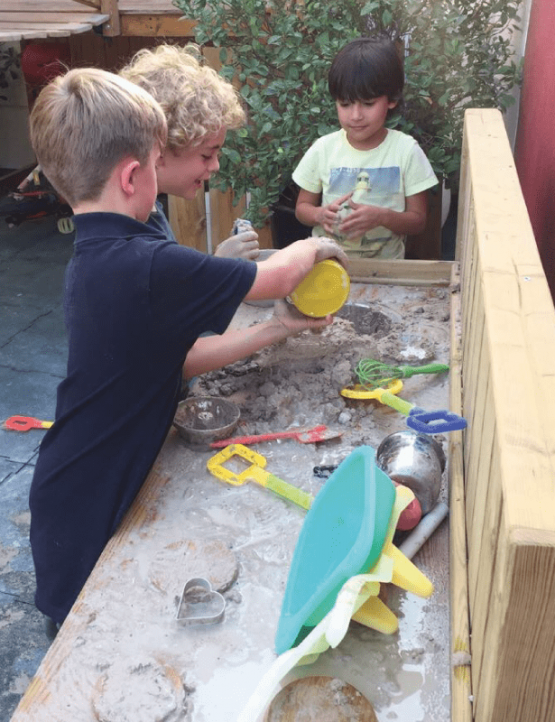 This solid mud kitchen provides hours of pretend and messy play. 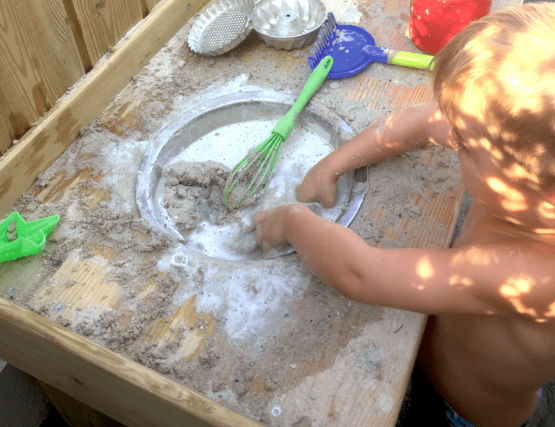 Your children can mix sand and water in the sink, bake their mud pies in the oven and heat milk, butter and sauces on the 4-pit hob. After cleaning up, they can hang their utensils and pans on the provided hooks. Are you looking for something bigger, with more play options like swinging and sliding? Check out our other most popular setups. 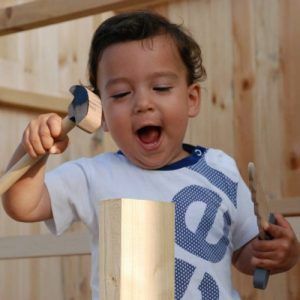 Wondering about the wood we use for our products, the maintenance or warranty? Find your answers in our FAQ’s. Kids finishing their dinner quickly, because they can't wait to go upstairs. Happily brushing their teeth and putting on pyjamas, because they are excited to go to bed. Eager to listen to a bedtime story in their own magical environment. Cozy and tucked in, quickly entering a sound deep sleep. Love this scenario?